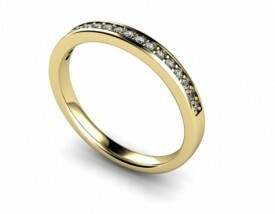 18 Carat Yellow and White gold shaped eternity ring.. 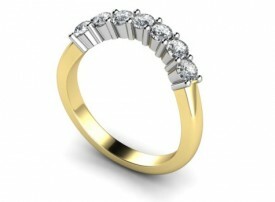 Seven 10 point G Colour, VS1-2 Clarity Brilliant cut Diamonds claw set in White gold to fit around a cluster ring, complete with Yellow gold shank.. 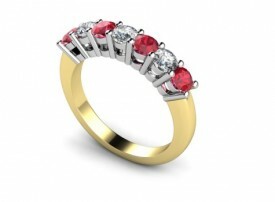 Comprising Four 3mm Rubies and Three 3mm F Colour, VS1 Clarity Brilliant cut Diamonds..
18 Carat White gold 12 Stone Princess cut Diamond Channel set Half Eternity Ring.. 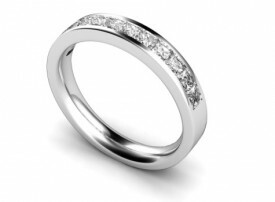 Comprising Twelve 2.5mm G Colour, Vs1-2 Princess cut Diamonds..
Other size stones available in this Design..
18 Carat White gold 15 stone Half Eternity Ring…. 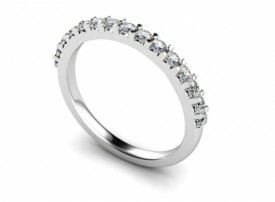 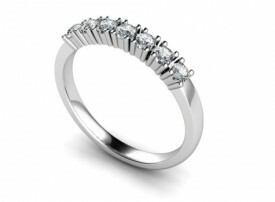 Comprising fifteen claw set 3 point F-G Colour, VS1 Clarity Brilliant cut Diamonds..
18 Carat Yellow or White gold 16 Stone Diamond Half Eternity Ring..
Also available in 9 Carat Yellow or White gold..
£950 18 Carat White gold Seven stone Brilliant cut Diamond Half Eternity Ring..
18 Carat White gold Seven stone Brilliant cut Diamond Half Eternity Ring.. 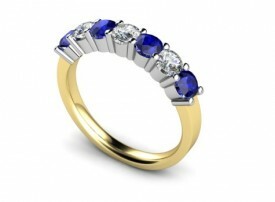 Seven Claw set 5 point F-G Colour, VS1 Clarity Brilliant cut Diamonds ….